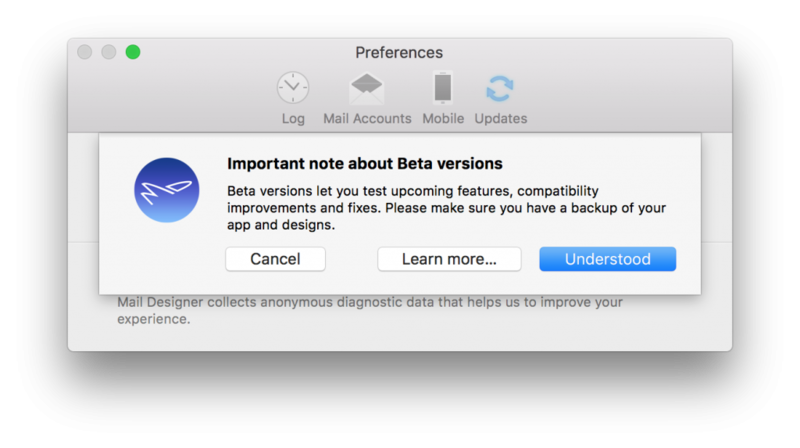 Beta versions are versions that are available for testing. Please note: These are not the final versions that will be released to the public. However, many people may want to try a beta version. It gives them a chance to check out some of the more current changes and improvements to the software. People can also report bugs, glitches, and other flaws to the developers. This is helpful because issues can then be addressed before the public release of an official version. How can I get a beta version of Mail Designer 365? If you’ve bought Mail Designer 365 from our website, you can have access to the beta versions of Mail Designer 365 by becoming part of our Insider Program. 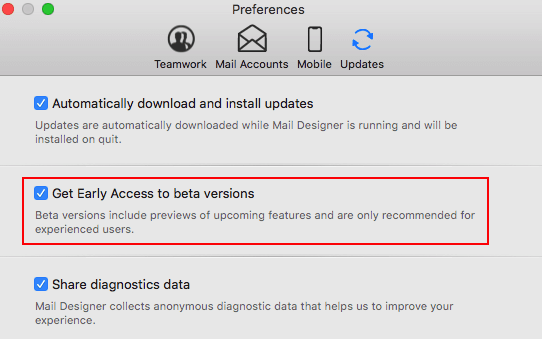 Please note: The Insider Program is not available if you bought Mail Designer 365 from the Apple Mac App Store. Open Mail Designer 365 on your Mac. 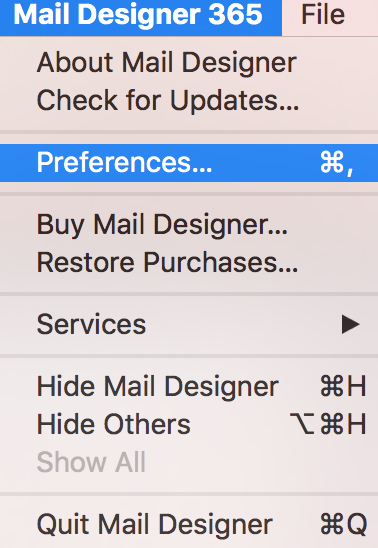 Choose “Mail Designer 365” > “Preferences” from the top menu bar. Click the “Updates” tab and check the “Get Early Access to beta versions” box. When it comes to checking for updates, Mail Designer 365 will check for new versions on app start. 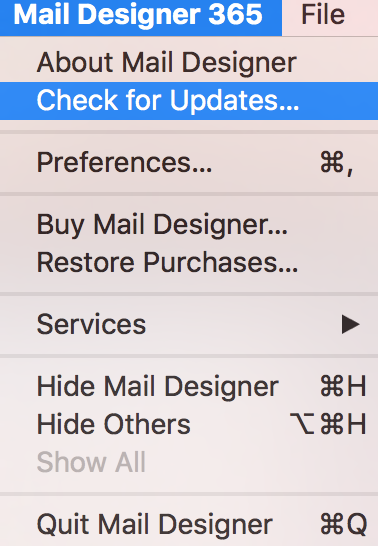 Also, you can choose “Mail Designer 365″ >” Check for Updates…” from the top menu bar.